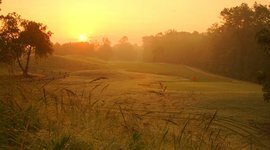 Away from the hustle and bustle, Ellington at Wachesaw Plantation East is a scenic golf resort. 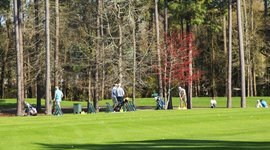 The Wachesaw golf course, located on property, has earned several accolades and hosted world-class tournaments. 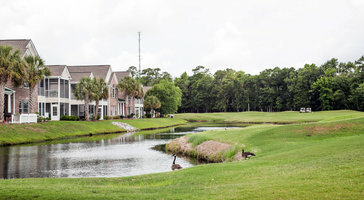 Rent a condo here and gain priority access to tee times. 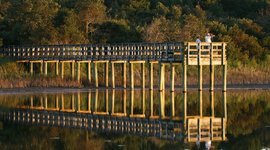 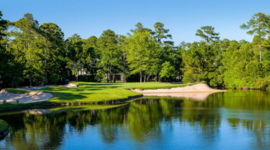 This Murrells Inlet golf resort has a number of nature trails, traversing a landscape of moss-covered oaks and gently flowing waterways. 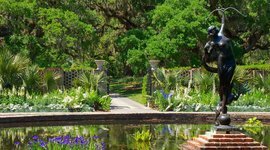 You also get free passes to the nearby Myrtle Beach State Park and Huntington Beach State Park, as well as the stunning sculpture gardens of Brookgreen Gardens. 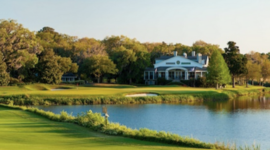 The resort is home to a fun bar and grill that adds to the golf community. 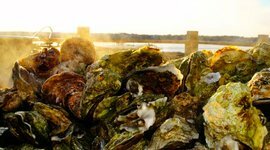 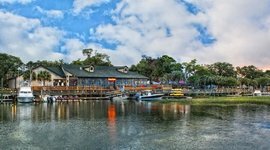 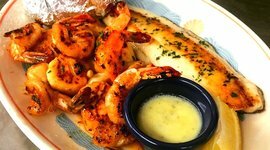 For a taste of local seafood and live music head to the Marshwalk down the road. 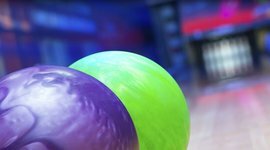 It's a little smaller than other Myrtle Beach malls, but it's home to a great kids club hosting frequent events, as well as a brand new movie theater and bowling alley.